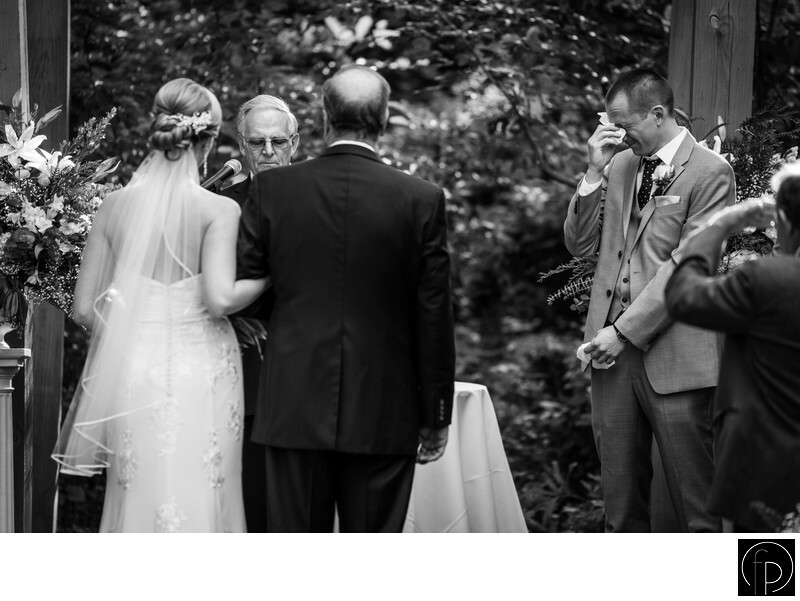 This black and white captures an emotional moment for our groom during the ceremony at the Anthony Wayne House, located in Paoli, Pa. The Anthony Wayne House, a Jeffery A. Miller location and also known as Waynesborough, is maintained by a non-profit organization dedicated to preserving historic sites, education and cultural programming. With its carriage house and picturesque lawn, the location is surrounded by lush woodlands. Location: 2049 Waynesborough Rd Paoli PA 19301.